Joseph A. 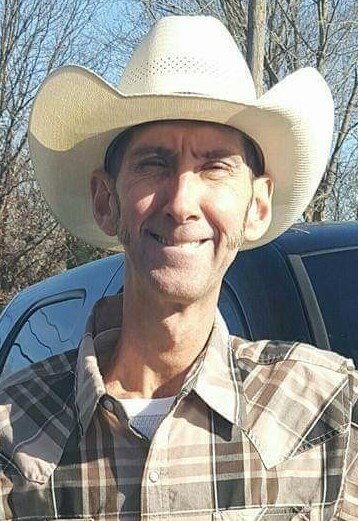 “Joey” Farmer, 48, of Burlington passed away unexpectedly on Tuesday, March 26, 2019 at his home. For several years he worked at Bosch Manufacturing Co. and Pomeroy. He was a lifelong member of Sand Run Baptist Church and he enjoyed karaoke and line dancing. Joey was preceded in death by his parents, Laymon and Norma Jean Middleton Farmer; sister, Rae Jean “Sis” Doerman; and brothers, James Robert Farmer and David Glen Farmer, Sr. Survivors include a nephew, David Glen (Aubree) Farmer, Jr.; nieces, Angie (Frank) Armstrong and Aimee (Jay) Hopkins; great nieces and nephews, Wyatt Farmer, Sadie Farmer, Frank Armstrong, Elliemae Armstrong and Jasper Hopkins; brother-in-law, Matt Doerman; and a host of Aunts, Uncles and Cousins. Visitation is Monday, April 1, 2019 from 9:00 a.m. to 12:00 Noon at Middendorf-Bullock Funeral Home, Hebron. Funeral services to immediately follow at 12:00 Noon at the funeral home. Interment at Bullittsburg Cemetery, Petersburg. Memorial contributions are suggested to the Sand Run Baptist Church, 1327 North Bend Road, Hebron, KY 41048.